This is the classic account of the modern Western esoteric path of initiation made public by Steiner in 1904. He begins with the premise that “the capacities by which we can gain insights into the higher worlds lie dormant within each one of us.” Steiner carefully and precisely leads the reader from the cultivation of the fundamental soul attitudes of reverence and inner tranquility to the development of inner life through the stages of preparation, illumination, and initiation. Steiner provides practical exercises of inner and outer observation and moral development. By patiently and persistently following his guidelines, new “organs” of soul and spirit begin to form, which reveal the contours of the higher worlds thus far concealed from us. Steiner in this important work becomes a teacher, a counselor, and a friend whose advice is practical, clear, and effective. The challenges we face in life require increasingly deeper levels of understanding, and Steiner’s text helps readers to cultivate the capacities for such insights and places them at the service of humanity. This is Steiner’s most essential guide to the modern path of initiation he advocated throughout his life. It has been translated into many languages and has inspired hundreds of thousands of readers around the world. How to Know Higher Worlds has been admired by some of the most brilliant minds of our time. Rudolf Steiner (1861–1925) was born in the small village of Kraljevec, Austro-Hungarian Empire (now in Croatia), where he grew up (see right). As a young man, he lived in Weimar and Berlin, where he became a well-published scientific, literary, and philosophical scholar, known especially for his work with Goethe’s scientific writings. At the beginning of the twentieth century, he began to develop his early philosophical principles into an approach to systematic research into psychological and spiritual phenomena. 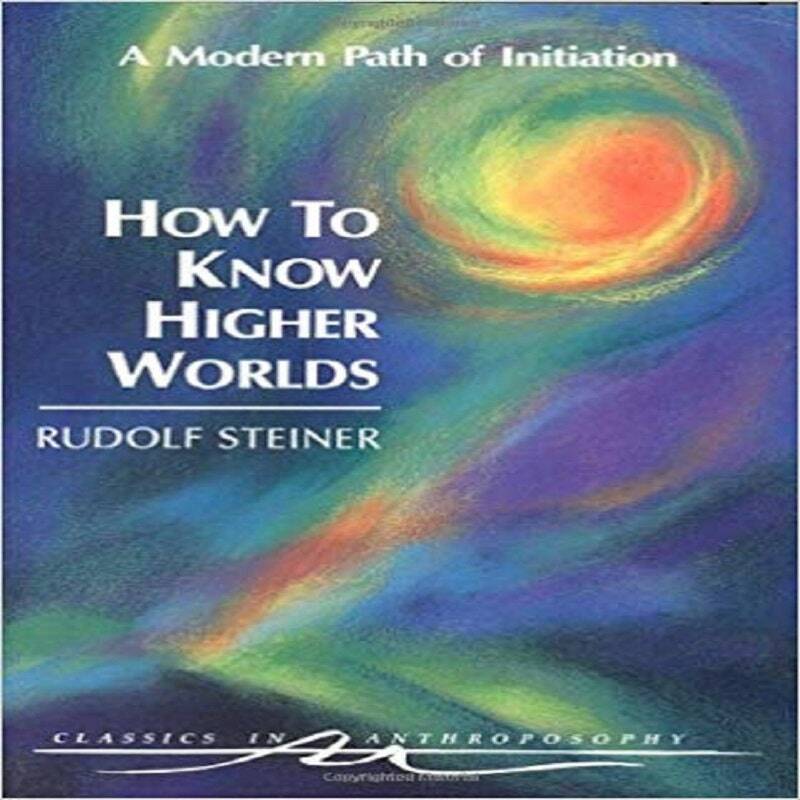 Formally beginning his spiritual teaching career under the auspices of the Theosophical Society, Steiner came to use the term Anthroposophy (and spiritual science) for his philosophy, spiritual research, and findings. The influence of Steiner’s multifaceted genius has led to innovative and holistic approaches in medicine, various therapies, philosophy, religious renewal, Waldorf education, education for special needs, threefold economics, biodynamic agriculture, Goethean science, architecture, and the arts of drama, speech, and eurythmy. In 1924, Rudolf Steiner founded the General Anthroposophical Society, which today has branches throughout the world. He died in Dornach, Switzerland.